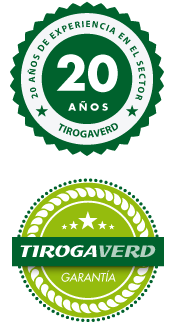 Biological Fungicide with systemic copper rapid assimilation suitable for all types of crops: vegetables, ornamental, vineyard, fruit trees, citrus, olive, etc. diammonium phosphate-based fertilizer with 18-46-00 rich in phosphorus and 40 kg sack. It is a perfect place to promote root development and give vigor fertilizer. Stimulating Biological Boundary 1 lt.
Organic product. It can be used both as a cure and as a prevention, to boost the natural defences of the roots and the base of the stem. Assimilable sulfur liquid mixture with micronutrients. Iron sulphate Feemag is a granular product of greyish colour, especially developed for its use as a fertilizer. Osiryl is a root stimulant for the plant increasing its adaptation. Nubi COMPLEX, totally vegetable origin, is obtained by distillation of products. Recommended as basal dressing, improves soil extructura due to the high organic content, also it contains plant hormones and micronutrients, making it a very balanced fertilizer. Product made with sheep manure and presented in the form of pellet, with the consequent advantages that it reports when applied in certain cases with respect to the product in the form of powder. 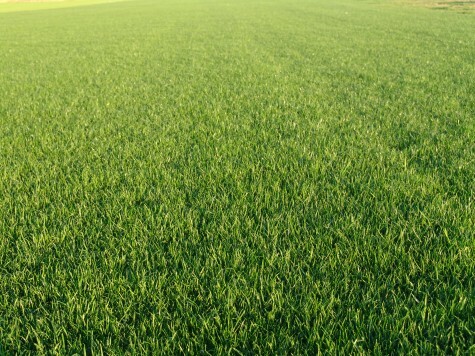 Floranid LAWN Features: complex fertilizer based on slow release nitrogen from Isodur ® , magnesium and micronutrients. Special for fertilizing lawns intensive management. Biostimulant root, based enzyme protein hydrolyzate enriched Organic Nitrogen. Systemic product. It's a cell membrane penetrating agent and nutrient mobiliser. Also acts as an anti-freeze for crops. 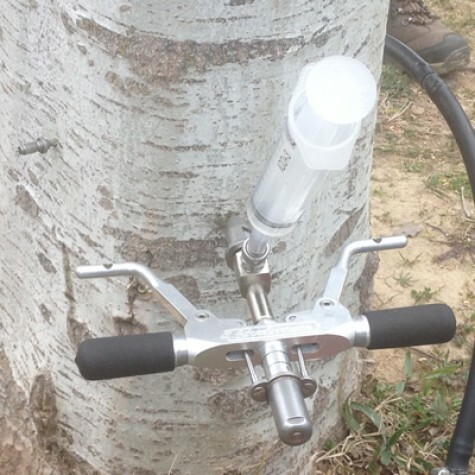 Mechanism to inject insecticide into the tree. With the pressure of the injection and the transpiration of the tree allows for the product to be distributed throughout the whole plant. Confidor introduced inside. The pheromone is used to attract the palm weevil. It’s placed on the top of the trap to catch the red palm beetle. Atominal 10 EC is a contact insecticide growth regulator, analogous juvenile hormone of insects, in the effective control of mealybugs and whiteflies. A plant protection product registered for use in parks and gardens.